6 Bedroom Detached House For Sale in Tonbridge for Offers in the region of £1,250,000. 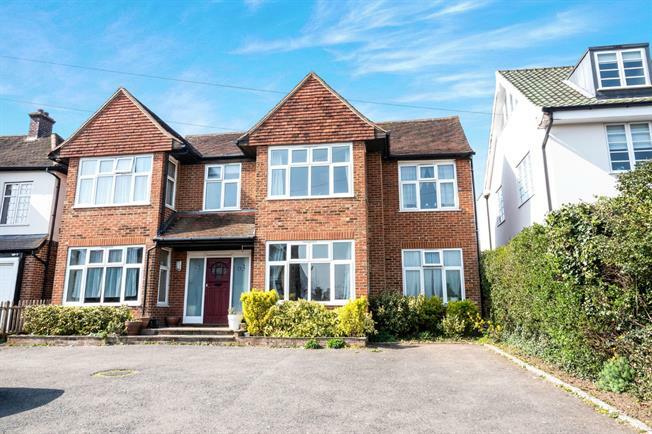 Freeman Forman are delighted to present to the market this substantial six/seven bedroom detached family home, situated in Tonbridge. The entrance door opens into a large hallway with doors leading to two spacious living rooms, dining room, modern fitted kitchen, store room, cloakroom, and a double bedroom with en-suite. The first floor benefits from six further double bedrooms, one with an en-suite, and a family bathroom. There is potential to extend into the loft subject to the usual consents. Externally, there is a driveway to the front for numerous cars. At the rear is a large lawn garden, with patio area and mature shrub borders.